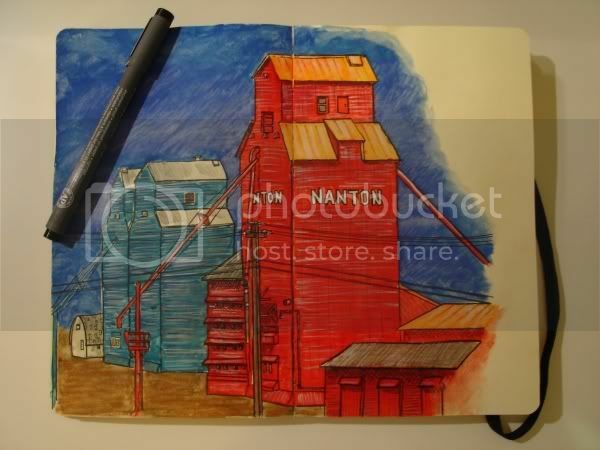 As promised, here are my sketches from the Moleskine exchange that my cousin and I are doing. Enjoy. 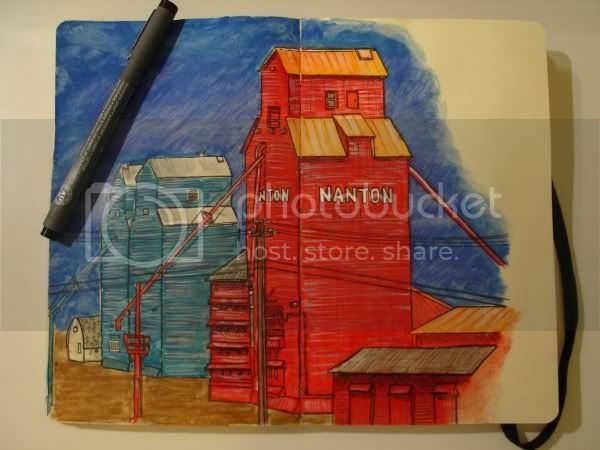 Grain Elevator – Nanton, Alberta. Watercolor, Pencil Crayon & Ink. Chinatown’s Dragon City Mall – Calgary, Alberta. Pencil. 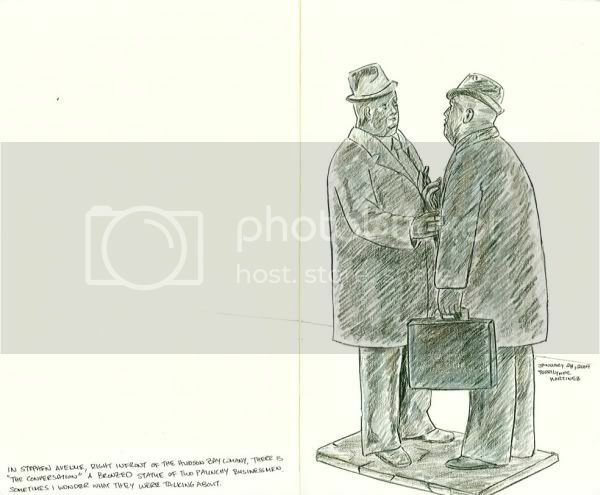 “The Conversation” Stephen Avenue – Calgary, Alberta. Pencil Crayon. 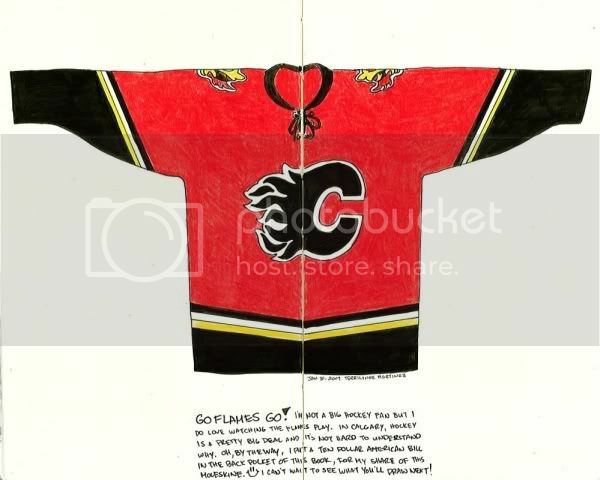 Calgary Flames Jersey. Pencil Crayon and Ink. 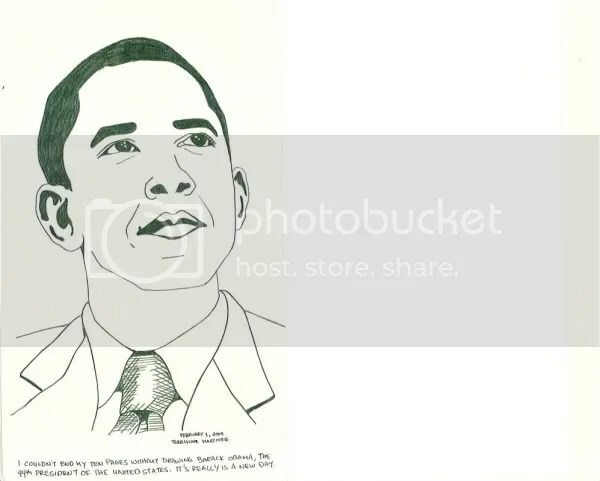 President Barack Obama – Pencil. Sorry, I haven’t updated since… February 2009… wow, that’s almost a year ago. But I have good reasons for my absence. I finally learned to drive, I got a new job, new car, new laptop, new haircut… many things! 2009 was a pretty busy year for me. Now I’m back, hopefully this time I will update a lot more often. 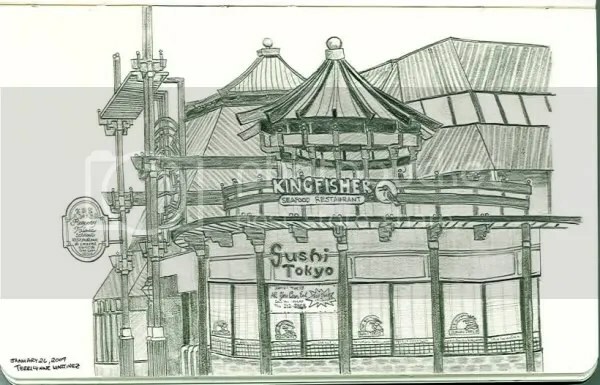 As for the drawing above, it’s one of the drawings that I did for the Moleskine exchange that my cousin and I are doing. 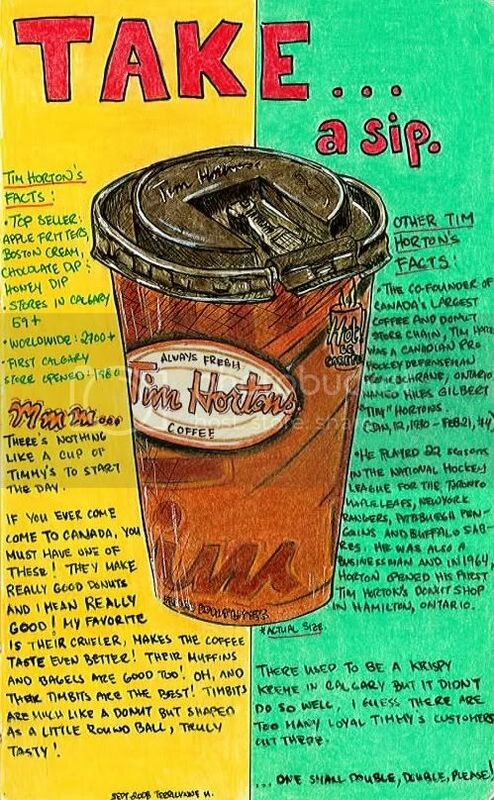 I wanted this Tim Horton’s cup drawing to have that same style as the one I did for the Second Cup drawing. I don’t know what’s with me with coffee cups lately, but it turned out pretty well, don’t ya think? I’ll be posting up some more scans of my drawings from the Moleskine exchange on my next post. 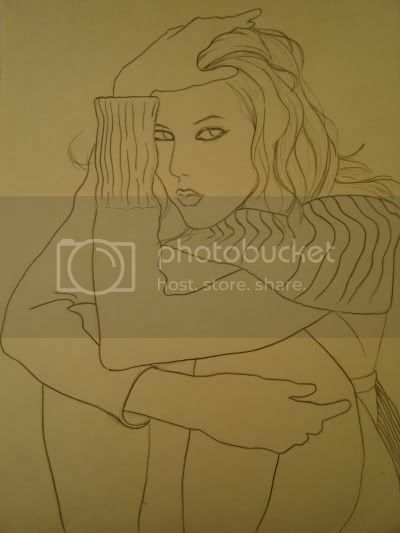 It will just be my drawings for now though. But maybe in the future, when it is all done, we’ll have all the pages put up for everyone to see. If you would like to keep up with the latest updates, please subscribe to my blog, using the link at the bottom right. Are my eyes decieving me or did I got a lot of hits today? haha. I usually get about 30 – 40 average hits a day but this is pretty cool. 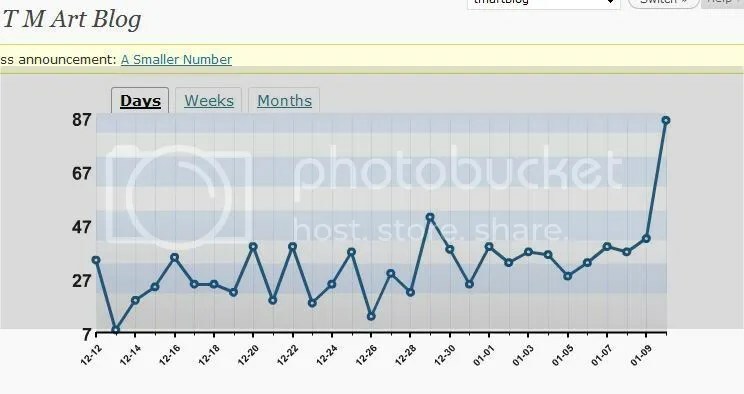 The most hits I ever got was in Feb 26, 2008, 107 hits. lol. This is not the first time I’ve hit around the 80’s but its nice to see it jump like that. haha. Anyways, here’s another sneek peek on our Moleskine exchange between my cousin Derrick and I. 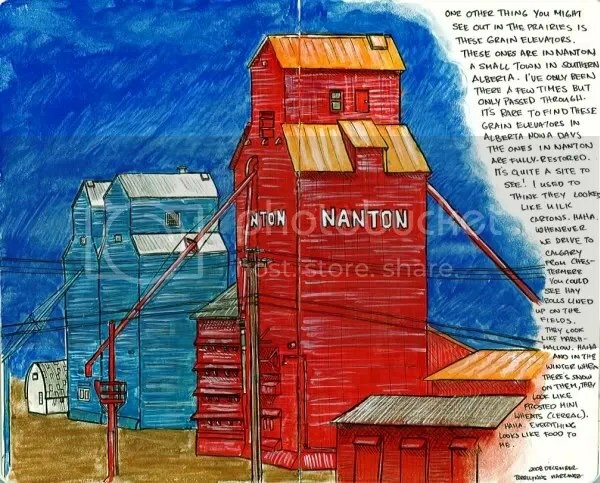 This drawing is based on Nanton’s two beautiful fully-restored Grain Elevators on north-bound Highway 2 here in Alberta. I’ve been only there twice but I’d like to go back. 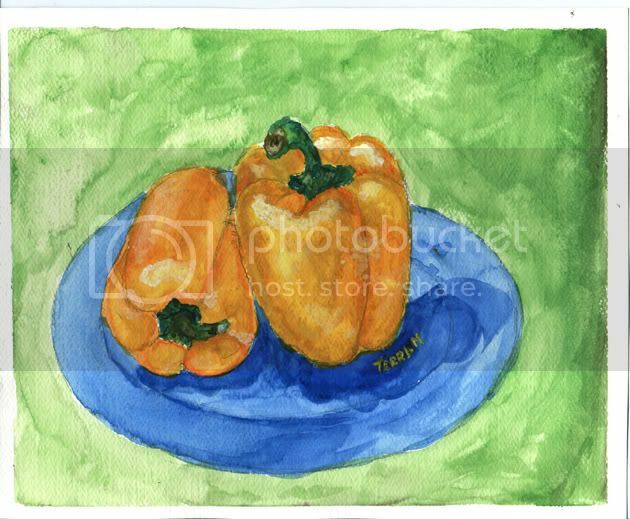 I drew this with Winsor & Newton watercolor, Staedler pigment liner, and Prisma Pencil Crayons. Usually when I draw, I don’t plan out how the drawing should look like in the end, I just go as I go along. UPDATE: I ended up having 99 hits at the end of the day. lol. I was just one hit away from 100!!! 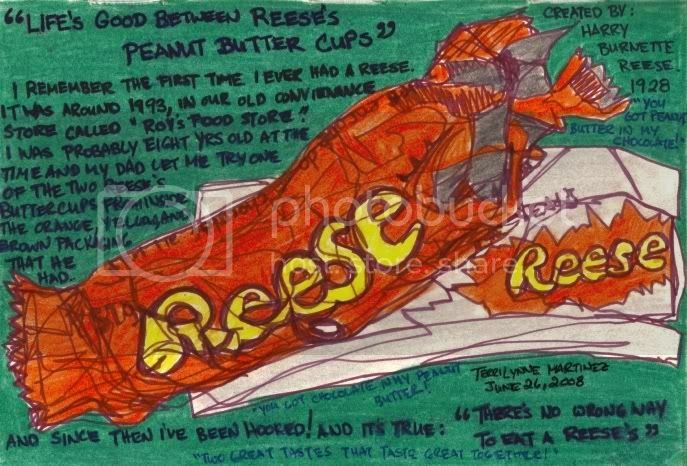 I love my Reese Peanut Buttercups! 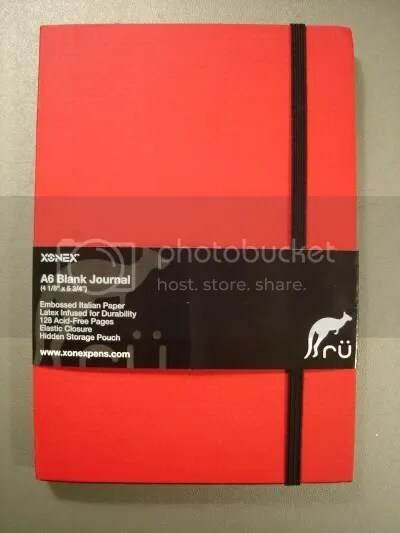 Ru Journal. Pencil Crayon and Ink. I’ve only liked two kinds of chocolate bars, Reese and Oh! Henry. Those were the only chocolate bars I ever reached for when I have a chocolate craving or when I needed an energy boost. Also, I think it’s the biggest reason why I gained an extra 10lbs this year. haha. 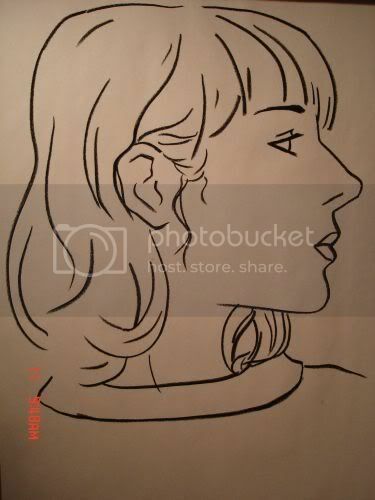 The drawing was done using ink and pencil crayon using the continuous line technique. If you do not know how or what a continuous line technique is it’s basically drawing without taking your pencil/pen away from the paper. It’s really fun to do because it’s a great drawing exercise and you don’t have to make the drawing so perfect . Plus it looks great at the end. This is a drawing that I did for the July ’08 Drawing Jam at the Drawing Board. The model is Miss. Mosh from Deviantart. 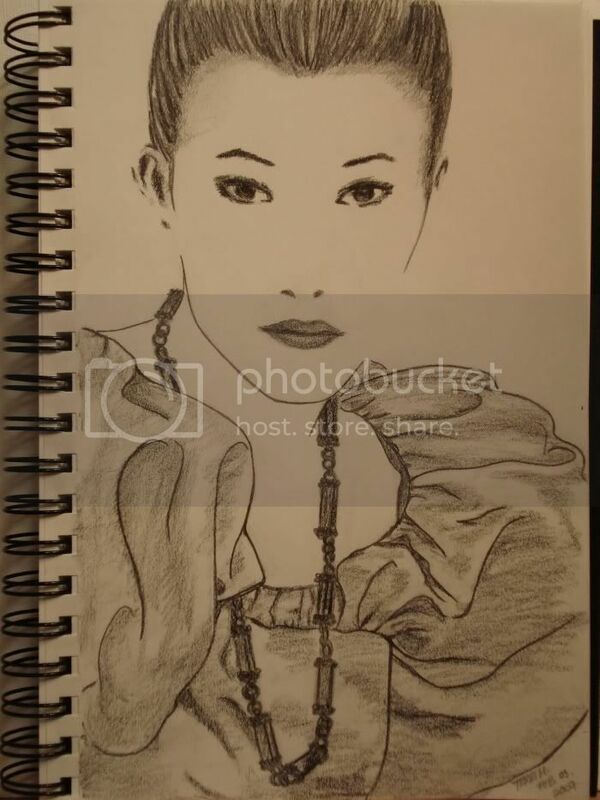 You can see the original photo at the July 08′ Jam at the DrawingBoard or the deviantart page. 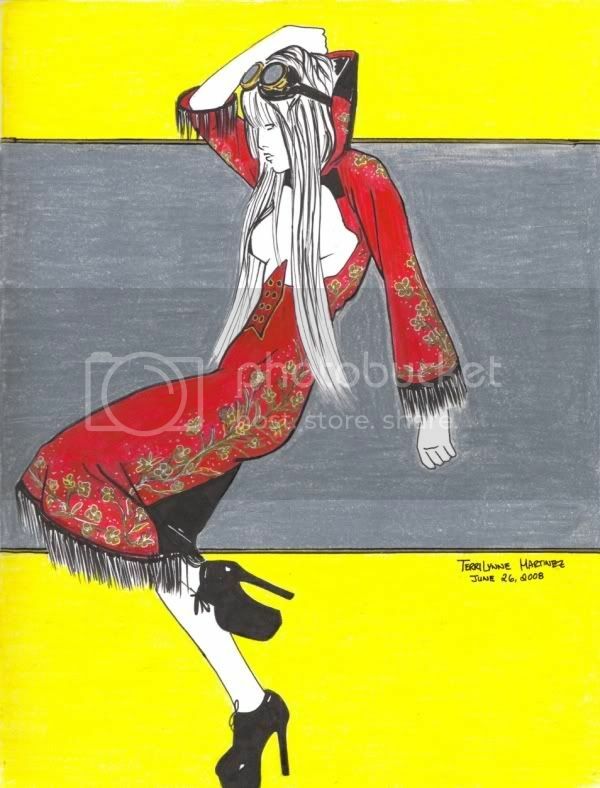 I wanted the drawing to look sort of like a fashion Illustration. I colored her dress using Faber Castell Pitt brush pen in red and embellished it with gold flowers and white highlights to give the dress some color. I purposely did not color in her skin and hair because I thought it would be too much. I then used Prismacolor colored pencil for the background. After finishing the drawing I realized I wrote the date wrong, haha it should say ‘July’ oh well… lol. Please check out her deviantart page there are alot of great photos! I’m hoping they’ll do another Drawing Jam soon ‘cuz I had alot of fun with this one. 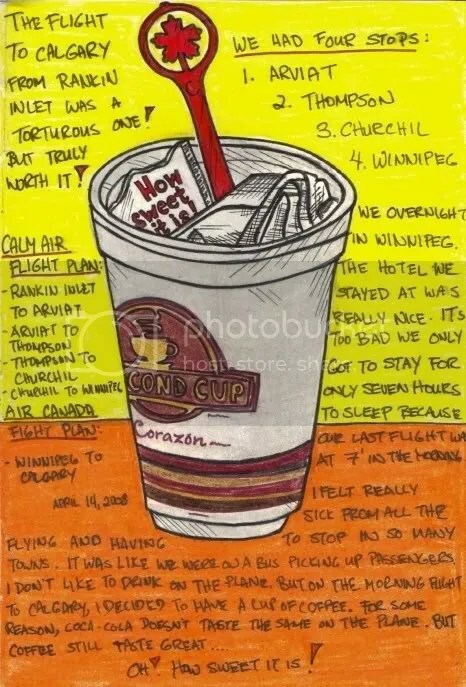 Second Cup Sketch, 4 1/8″ x 5 3/4″, Ru Journal. Okay, so… today, I promised myself that I wouldn’t avoid my sketchbook any longer. I’ve been making WAY too many excuses not to sit down and draw something. 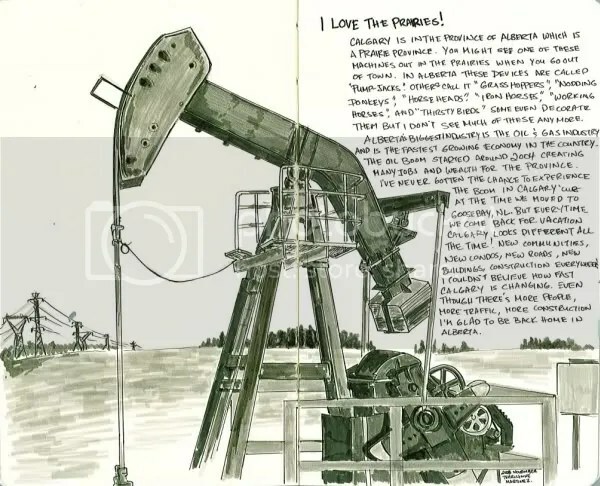 This sketchbook that I bought (well, it’s really meant as a journal) back in March, I’ve only filled up three pages over the past few months. Sad ain’t it? But starting today, I’ll be sketching out like crazy! Even if I can’t think of anything to draw, I will draw something! Okay, I decided to put up the drawing that I did with the Copic Markers. 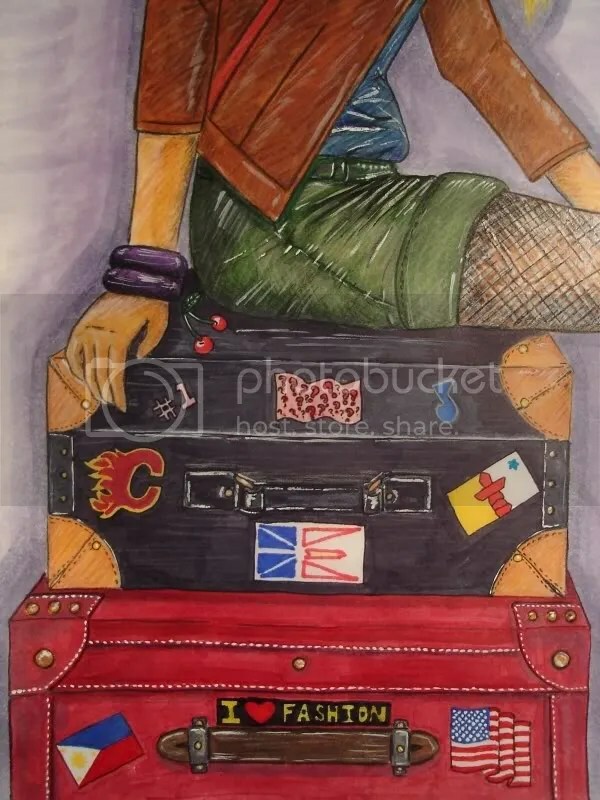 I know it’s not the best drawing I ever done, but I’m pretty darn proud of it. I mainly drew this to test out the Copic Markers that I purchased, so I wasn’t really thinking about making the drawing really “perfect”. Blending was a bit difficult at first. I had to save certain areas with pencil crayon. Plus, I ended up covering up her legs with mesh stockings because I didn’t blend her skin color very well. But I think overall, it worked out pretty well. I won’t go on too much detail about the flags but the flag on the top, which has a whole bunch of question marks on it, is suppose to represent a country or a place that I might go to in the future. Maybe Japan? haha who knows. 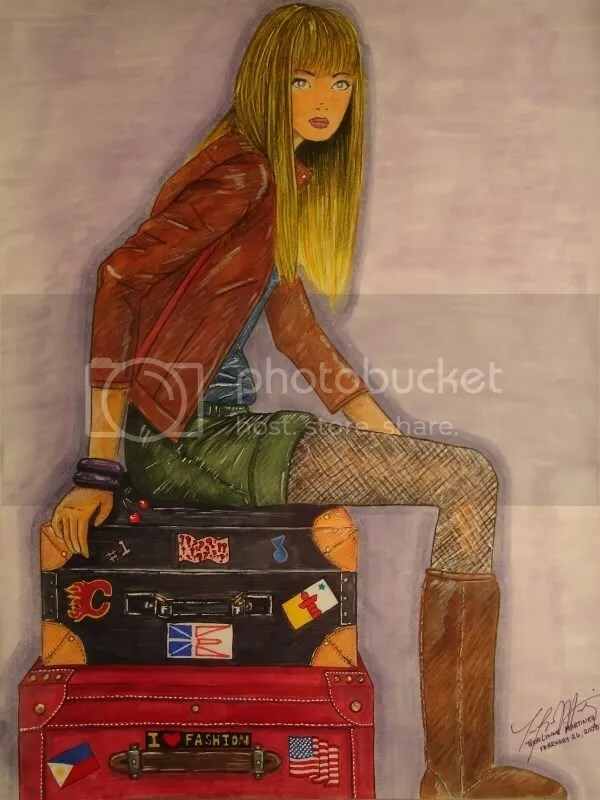 I also used white ink to do the highlights and white gouche for the seam on the suitcase.